Karnataka Chief Minister H D Kumaraswamy announced a one-day holiday across the states and a three-day mourning period. 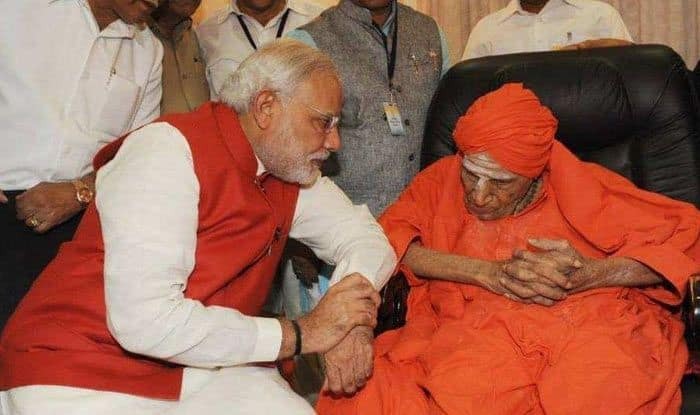 New Delhi: Shivakumara Swamiji, prominent Lingayat seer of Tumakuru-based Siddaganga Math, who was known as the ‘Walking God’, passed away at the age of 111 on Monday after a prolonged illness. A recipient of Padma Bhushan and Karnataka Ratna awards, the seer was in a serious condition for the past two months and had undergone a surgery at a private hospital in Chennai about two months ago for his liver related complications. The swamiji showed signs of improvement but his condition suddenly deteriorated in the past few days. Leaders of several political parties came together to mourn the death of the longest-living seer. PM Modi expressed grief on the demise of the seer and praised his contribution towards the society, particularly the marginalised section.